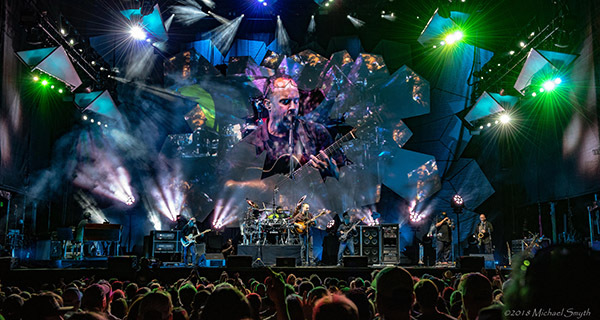 The Dave Matthews Band will close out the 2019 season at Harveys Outdoor Arena. In the Gospel of Matthew, Jesus declared: “The last shall be first and the first, last.” Today, Harveys’ first 2019 outdoor concert announcement is almost certain to be the last show of the summer series. On Friday, Sept. 6, Dave Matthews — who many consider a rock ‘n’ roll deity — will take the stage. 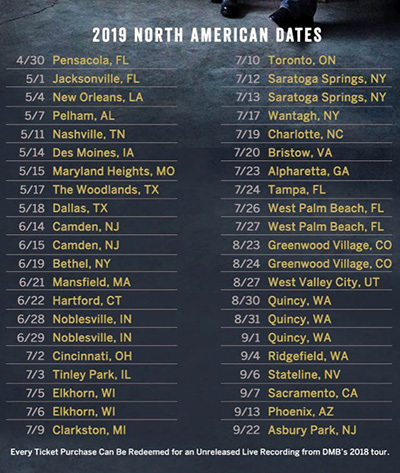 The Dave Matthews Band will make its fourth appearance at Harveys Outdoor Arena at Stateline, Nevada. The first three, including one last September, were sellouts. General admission and assigned bleacher seats are $115, plus fees, and will go on sale at 10 a.m. Friday, Feb. 22. Last summer, the annual summer outdoor concert series had a record 18 shows. That’s remarkable considering the small window of opportunity to hold summertime shows in the Sierra Nevada, which can have snowfall as late as June and early as September. Nearly every show was a sellout and weather only played a factor for one of them, when the threat of lightning delayed the start of a Keith Urban set. Bands are just now starting to announce summer tours. The modern-day Lake Tahoe Summer Concert Series began in 2002 after Harveys and Harrah’s merged and the parking lot behind Harveys became the site for Harveys Outdoor Arena. Its capacity is 7,200 for a seated show and 9,300 for general admission. Another Planet Entertainment has been the music promoter since 2005. APE is led by Gregg Perloff and Sherry Wasserman, who had worked with Bill Graham Presents. There are always a handful of country shows with performers such as Urban, Kenny Chesney, Toby Keith and Chris Stapleton. Major concerts have included The Who, Stevie Wonder, Elton John, The Eagles, Kiss, Aerosmith, Bob Dylan with Willie Nelson, Steely Dan and, last year, Robert Plant and the Sensational Space Shifters. Related story: Tahoe Onstage review and photos of Dave Matthews show at Harveys in September 2018.